Movers are people who chose to move to the Lakes of Northwest Iowa to enjoy a life made better by the amenities this lakes region offers. Share your photos of how you live your Lakes Life. Add fun captions to photos, and pick your favorites. Let’s start with WINTER FUN! As you prepare to get a lakes life in Northwest Iowa, you get to select from diverse housing options for rent and for purchase that address differences in personal preferences in location, style and size. Enjoy the endless fun that a lakes life offers to you! 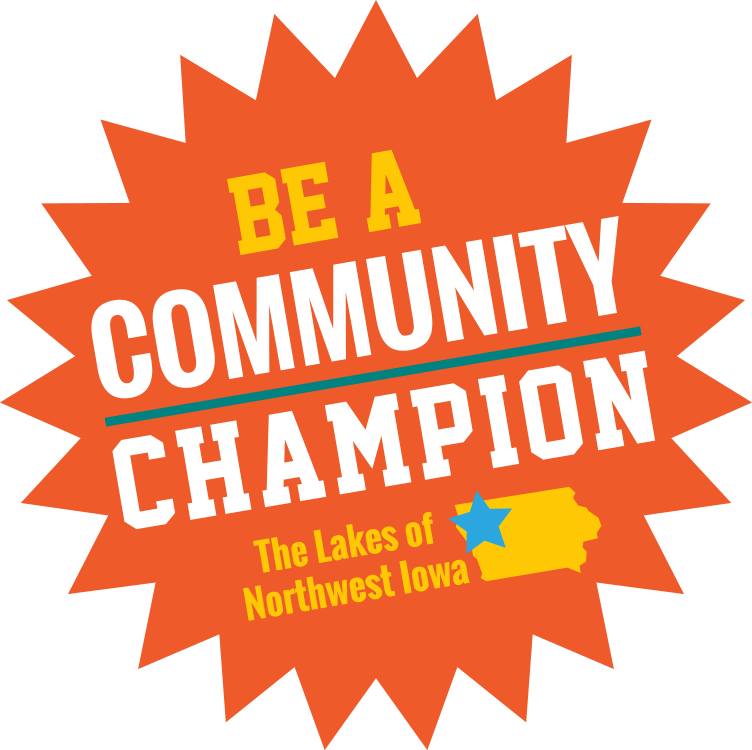 When you sign up and become an active Community Champion, you share your love for The Lakes of Northwest Iowa with folks you know that live far, far away that you wish were living here – and make a difference in their life! DigiBits are digital media elements – videos, picture memes and documents – that will entertain and inform the individuals that view them about the jobs, housing options and FUN that they will enjoy as soon as they GetALakesLife!